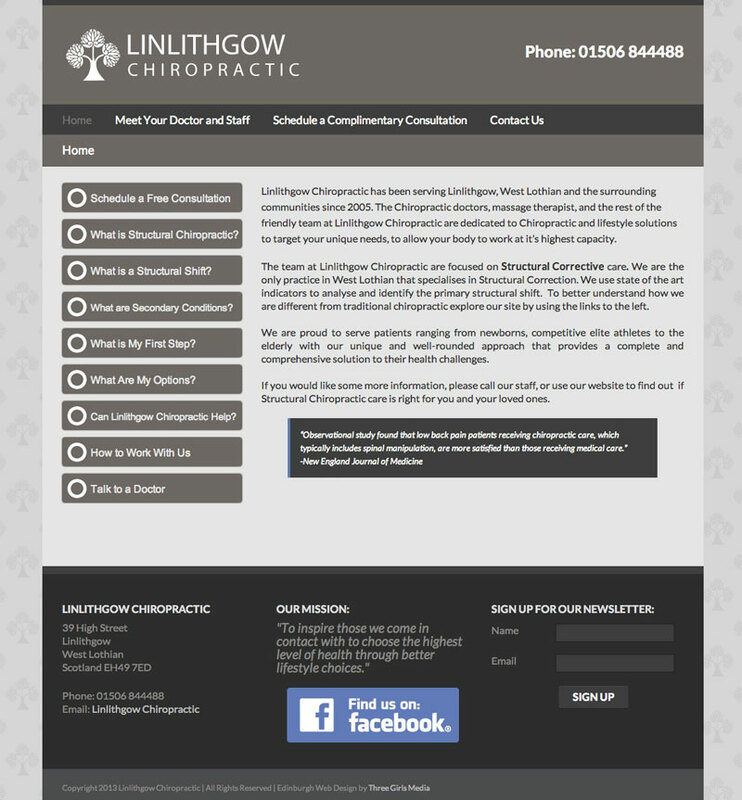 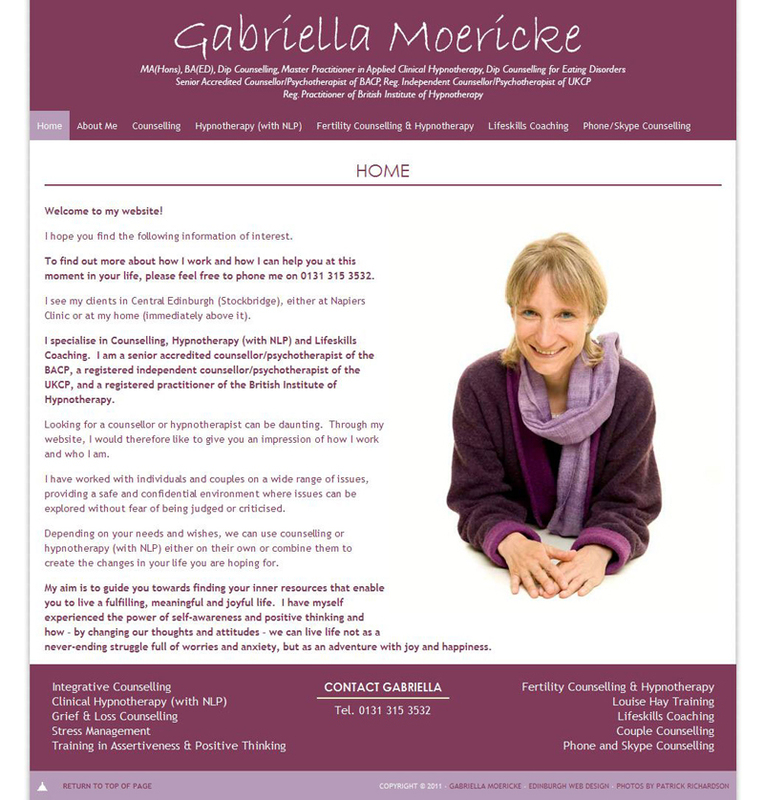 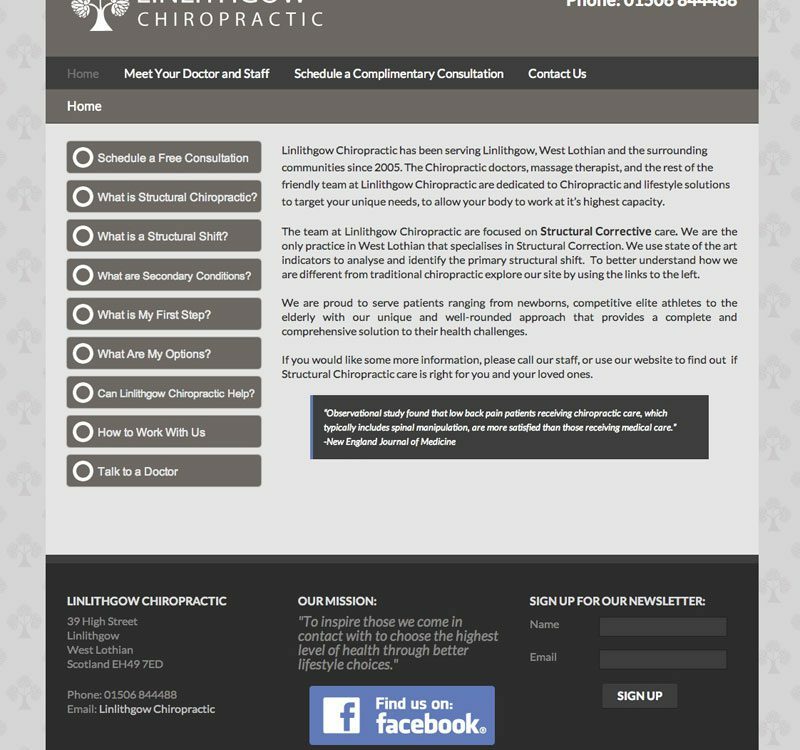 Counsellor and Hypnotherapist, Gabriella Moericke came to us requiring a website design that would set her apart from her colleagues and competitors and establish her web presence. 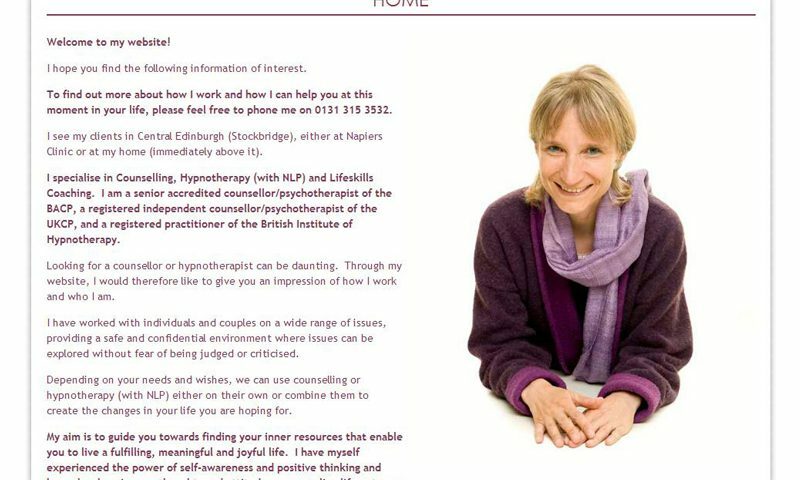 Between us we did a great deal of research and found that many of her colleagues had websites which were "information overload", and which paid little attention to the fact that they were in a peoples' business, and needed to make an impression quickly, and upon people who were seeking counselling or therapy. 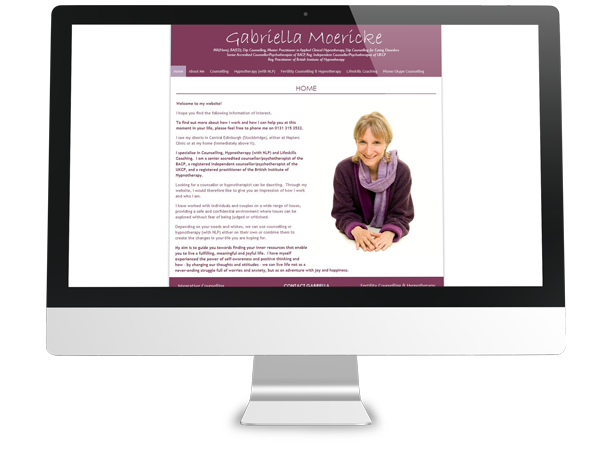 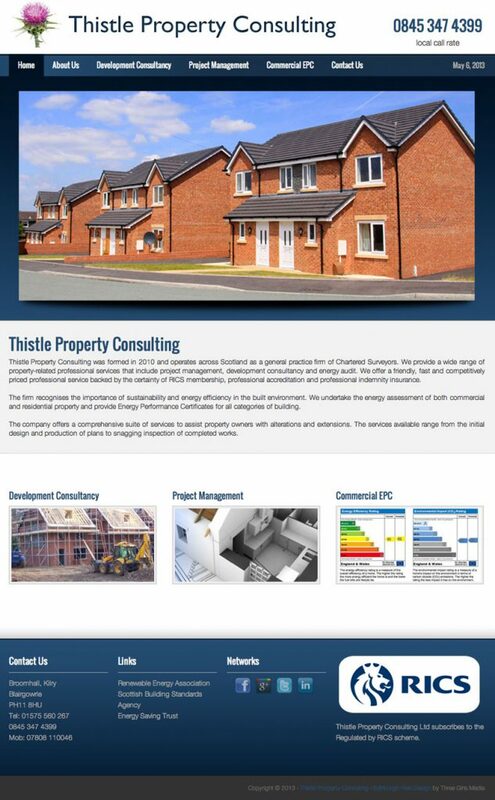 We worked with Gabriella to design a website which has a warm, friendly feeling representing the very approachable person that she is. 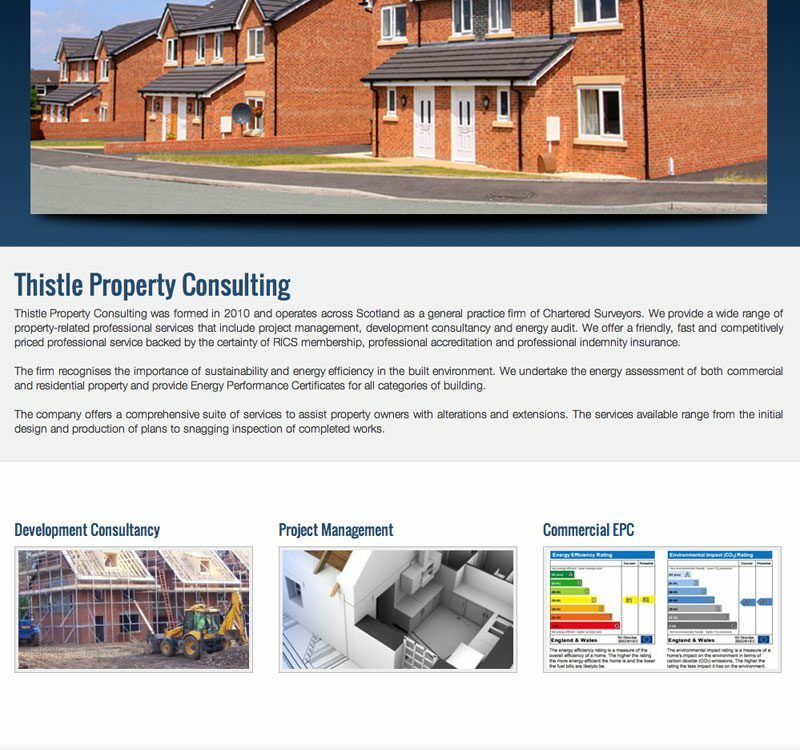 We also wanted the site to be image rich, and Gabriella chose photographs that are calming and inspirational to momentarily divert the reader.